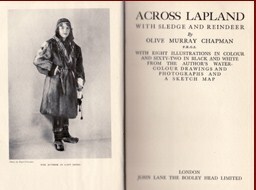 I was unable to find another good picture of Olive so I took the picture from her book about her winter journey across Lapland by sledge and reindeer. However, this post is about her final days in Iceland. It’s always difficult when you make a good friend and then she or he has to move away. That’s the way I feel about Olive Murray Chapman. I’ve taken my time reading her travel book, Across Iceland. 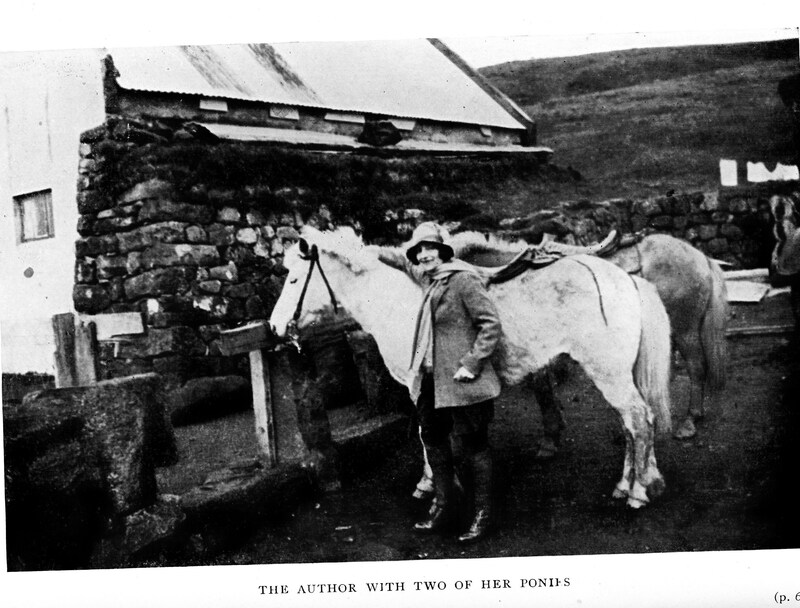 I have found her account of traveling in Iceland in 1929 fascinating. It is probably more fascinating for me than for my sometimes readers because I’ve read and written about many travelers who came to Iceland in the 1800s. 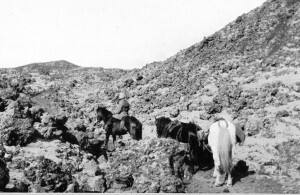 The earlier accounts are all about horses, the lack of roads, the isolation, the wickedly bad weather, the accommodation in churches, farmhouses and tents. By 1929 great changes have taken place. There are now the beginning of roads and, in a country where there have been no wheeled vehicles because there were no roads, there are not just vehicles but motor vehicles. Olive mentions, time and again, specially made Buicks that can stand the battering of these primitive roads, full of rocks, mud holes, roads that degenerate into stream beds and barely discernible tracks over mountain passes. More startling to a reader of 19th C travel books on Iceland is the mention of a telephone. These two changes mark the end of Iceland as it has been. 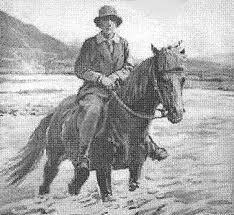 All travelers in the past have explained about the tremendous isolation of the Icelandic farms, of the impossibility of travel for much of the year, of the hardship and danger crossing rivers. Olive mentions that a bridge is being built. This is a major change. There are other changes occurring. With steamships, regular tourists can afford to come to Iceland. It is only three or four days from Leith. There can be schedules. People can make plans. No one needs to be a Lord or millionaire businessmen who can rent a yacht. In spite of there being more visitors, Olive is still a novelty, so much so that people are fascinated by her. “About 8:30 we reached Halldórstadir farm, perched high up on the hill above the river. I was welcomed by a charming Scotch woman, who had married an Icelander thirty-five years ago and had lived here ever since. She was quite excited at my arrival and told me that, with the exception of an English sportsman who had stayed the night four years ago, I was the first British traveller she had seen or spoken to for ten long years! She offers to pay the owners of the homes where she stays but many refuse any payment. Tourists are still guests, not paying clients. Hospitality comes before profit. “Is it not possible for me to have a room to myself?” I asked him anxiously. “No,” he replied, “they are very poor people. They have only one room,” adding cheerfully as an afterthought, “but you can have the sofa to yourself”. The next morning the húsmódir brings Olive hot coffee and cold pancakes and a jug of hot water. At 9:30 breakfast was provided. It consisted of a wild bird cut up and mixed with a thick lukewarm paste plus lots of hot milk. When they were ready to leave, Olive tries to pay for their room and board with five Kronur. Such a sum would have been significant to people who were so poor but they refuse the money. There are, though, other major changes taking place. Earlier travellers have recorded that there are no hotels, no inns, that accommodation is in churches, farm houses or in their own tents. Now, Olive reports that there are hotels being built, that there are hotels already built, some farmers have enough travelers passing by that they have set prices and have built accommodation. At Thingvellir she hears the ring of a hammer, imagines that is from fairies or trolls but discovers that on the bank of the river “some workmen were busy erecting a little wooden hotel.” At Stykkishölmur there is a little hotel where she stays. She and two Icelandic businessmen guests have their meals with Jón Gudmundsson, the proprietor. Having reached Akuryeri with some days to spare before her boat will leave for Leith, she explores the surrounding countryside. And there we will say goodbye to Olive. It is with some regret. I wish the book were longer, that she’d returned to Iceland and written another book about it but she was off to far places so she could write about her adventures in other countries. others, many hearts would have been stirred and many thoughts would have been turned toward the country from which our ancestors came.